Aarhus University will be the head of one of Europe’s largest investments so far - to change the public’s energy consumption. The objective is to develop an energy management system which can make the future use of electricity more flexible. 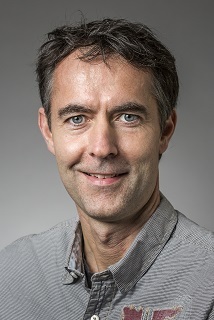 The photo shows Assistance Professor Rune Hylsberg Jacobsen. In the coming years, Aarhus University will be the head of a large European energy research project and thus be examining patterns in the energy behaviour of private consumers. The goal is to make the Europeans better to use power when there is plenty of it. Today, the production of electricity from renewable sources such as solar and wind power is very large. This means that sometimes we cannot use the amount that we have at our disposal from our energy system. This is one of the biggest climate-technological challenges, explains Associate Professor Rune Hylsberg Jacobsen from Aarhus University. Especially through the latest decade we have become much better at utilising the energy from sun and wind. This has a large number of environmental benefits, but at the same time the drawback that it has become significantly more difficult to plan our total production of electricity. “Solar and wind energy is fluctuating, and the more we have at our disposal in our energy system, the more difficult it is to plan and manage our production. For the individual country or area, this means that there is often a surplus of electricity production. If we want to reduce the emission of greenhouse gases, we need to find out how to make people use the energy when it is available from the renewable energy sources,” says Rune Hylsberg Jacobsen. This is the background for the European research project in which Rune Hylsberg Jacobsen and his research colleagues abroad in the coming years thoroughly will study the private consumers’ energy behaviour and find new opportunities for balancing the electricity consumption with the electricity production from fluctuating energy supplies in the future. “Basically it is all about, getting better understanding of the consumers and their needs. We have to provide detailed knowledge about when, how much and in which way the energy is used in households and in which way we can influence the consumer behaviour. Is it, for instance, possible to move electricity consumption to the time of the day where it is most accessible and thus also cheapest? How much is it possible to relocate? And what needs to be done to make the individual family begin create new habits?” says Rune Hylsberg Jacobsen. Among other things, researchers will develop an information technological system to be installed in 200 European households. The purpose of the system is to gather consumer information and correlate it with information about both the immediate and the expected electricity production. “It will become one of the most detailed studies so far in which the consumption of each and every power socket in the individual homes in principle can be monitored. The potential is very large. If we succeed in creating a solution which can actually move some of the consumption without inconveniences for the consumer, it can provide huge savings in the total CO2 account,” says Rune Hylsberg Jacobsen. The present energy system in Europe is dimensioned with a capacity for the most extreme demand from the consumers, and it may get expensive if we look just a few years into the future where our energy consumption is expected to be further increased. “If we are to provide Europe with energy according to the same model as today, we need to implement a costly expansion of the infrastructure. That is why we would like to find an alternative solution that can change our energy habits. And thus, the technology plays an important role”, says Rune Hylsberg Jacobsen. The researchers expect to have a finished prototype of an information technological system within three years, which can help the private consumer to move his energy consumption to other parts of the day when the energy is far more available. “We will get a unique insight into why people use electricity as they do and where it pays to change their practice. Much of this will take place automatically. Maybe you turn on your washing machine when the electricity is cheapest. And when you turn on your oven, you may be informed about the fact that the electricity is expensive at the moment, and maybe you will be asked whether you want to wait for an hour because the electricity prices are expected to be lower. Actually, it is a question of identifying the many small contributions that might grow bigger when it comes to how much electricity is consumed by the households in Europe,” says Rune Hylsberg Jacobsen. Occidentale (CH), Misurio (CH), netplus (CH), SEIC Teledis (CH) and University of Agder (NO).